The HDB resale flat volume in Q1-Q3 reached highest for the first time in five years. The prices for the resale flats, however, showed quite a different trend falling by around 0.1% in the third quarter after rising to 0.1% in the second quarter of 2018. The HBD resale flats prices have been trending within this price band since the first quarter of 2015. And this 0.1% decline is just marginal as compared to that. According to the Housing and Development Board (HDB) release, the trend of decline continues whereas the resale price index has come down from 131.7 to 131.5. The resale price index represents general price movements in the market of the resale public housing. The decline in the HDB resale prices is nothing new and has been continuous since last year or more. In the third quarter of last year, the prices fell 0.7 % whereas in the fourth quarter of last year it came down by 0.2%. In the first quarter of 2018, the resale prices declined by 0.8% and shifted slightly up by 0.1% in the second quarter of 2018. However, this decline is not at all making the real estate experts worry. Many believe that the cooling measures introduced by the Singaporean government in July this year are somehow diverting the buyers to the HDB resale market in Singapore. Why are prices still high? According to Christine Sun, Head of Research & Consultancy at OrangeTee & Tie Pte Ltd, “Prices are holding steady as sellers are probably not willing to accept offers lower than their price expectation as they probably are not rushing to offload their units at lower prices since the economy and job markets are stable.” Sun further added many buyers seemed unwilling to pay amount more than the valuation because there are currently multiple housing options available right now. In the last few months, many resellers put their flats for sale whereas the last few months also saw the launch of many BTO projects. Another reason why the resale flats demand is still stable is because of the 18.9% increase in the volume quarter-on-quarter (Q-o-Q) to 7,063 transactions which is the highest sales in any quarter since Q3 2010. That is why despite the onslaught of market disruptions, the resale transactions continued to remain strong. Will prices of HDB resale flat market in Singapore increase in 2019? Experts expect the prices of HDB resale flat to continue to remain the same and if at all they increase or decrease the change are most likely to be moderate not exceeding 1.5% for the entire year. A recent announcement from HDB says that as a part of its November sales exercise, it is launching around 3,800 Build-to-Order (BTO) flats for sale in Yishun, Tengah, Sengkang, Tampines, and Sembawang. HDB will also conduct a concurrent Sale of Balance Flats exercise. In July 2017 the housing board stated that it will come up with BTO projects having a shorter waiting time for helping young couples get inside their homes sooner. The board will give higher priority to families applying for the first time for these flats and is planning to keep 95% of the larger flats with four-room aside for them. Each of these resale flats includes internal doors, floor finishes, and sanitary fittings which reduces the renovation requirement and ensures that the buyers can move sooner in these flats. All these flats will have an open kitchen concept. HDB released the resale price index for the entire quarter on October 26. 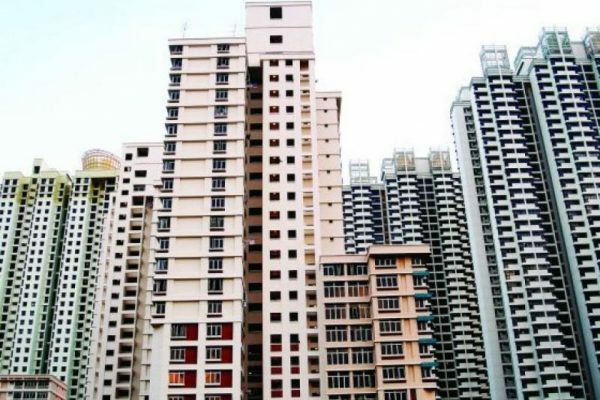 According to reports, the HDB resale volume went beyond the market expectations as HDB resale applications’ number increased by 18.9% in Q3 2018. The third quarter public housing data of HDB revealed that it received 17,462 resale applications in the first three quarters of 2018. HDB is expecting the total number of resale transactions to go beyond 22,000 in 2018, a new high in the last five years. Experts believe that the availability of less BTO flats may have led to better sales performance. It ultimately led to less competition for interested buyers. In the matured estate segment almost every town reported an increase in a HDB resale flat market in Singapore. The Central Area reported the largest increase of 119.7% in transactions whereas Toa Payoh, Serangoon, Bukit Merah, Ang Mo Kio, Marine Parade, Clementi, Kallang/Whampoa, Tampines, Serangoon, Queenstown, and Pasir Ris. The sales volume increased most probably because of moderation in prices for some type of flats. The non-matured towns revealed more real estate transactions in the third quarter of 2018. Some of the resale transactions include Woodlands (516 units), Punggol (469 units), and Jurong West (505 units). The resale market in the non-matured towns is comparatively more active mostly because more flats reached their Minimum Occupation Period (MOP) in the last few years. The rental HDB market showed a weak trend with the approved applications for renting HDB flats came down to 6.7% from 12,024 cases in the second quarter this year to 11,216 in the third quarter of 2018. HDB records reveal that it rented 56,074 flats until 30 September 2018 which is 2.1% more than rented until 30 June 2018. In general, the rental prices are also showing a downward trend. What does the HDB resale market hold for 2019? For Singapore in the real estate sector, things are currently doing well with the downward or upward trend showing a moderate shift. As compared to last year the HDB real estate market is performing well this year. Experts believe that the HDB resale flat market in Singapore will remain positive in 2019 and the sale can even reach around 23,000 by the end of 2018. Market predictions indicate that the resale volume will increase to around 24,000 units next year. The increase in the HDB resale flat can possibly be because of more BTO flats that will reach MOP in 2019 and will become ready for resale. The healthy job market and the solid economy will further support the increase in resale volume. It is quite possible that the HBD resale flats demand may remain stable in the coming months as there are chances of some HDB upgraders turning their buying interest to HDB resale flats because of their affordability related to the Loan-To-Value limits. The supply of resale flats increased this year due to which the HDB resale prices will continue to remain weak in 2019. So fluctuations and upheavals will continue throughout 2018 in the HDB resale flat market and in the next year. Even then, large-sized and well-located flats will keep on attracting displaced enbloc owners due to large spaces and price affordability. But overall the market analysts do not predict boom or massive decline.